Bullet journaling is all the rage now. 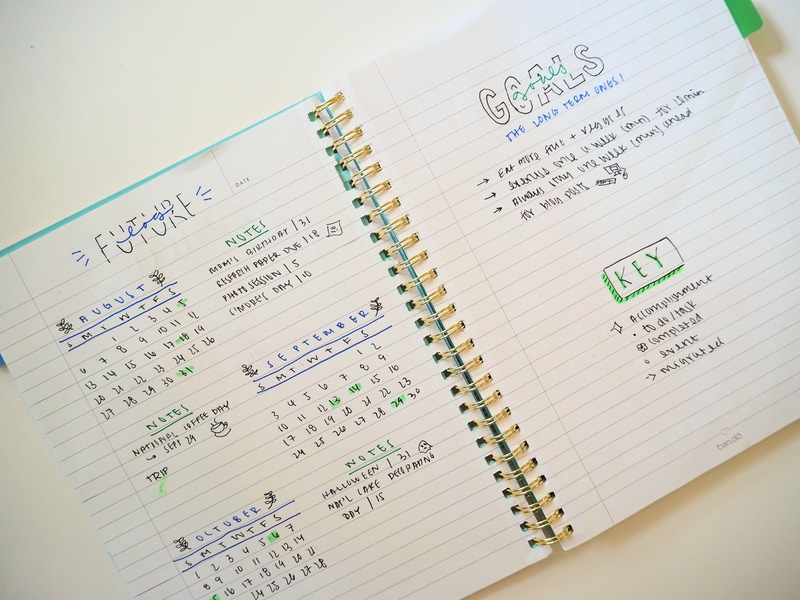 I've been seeing pictures of bullet journals all over the internet and I gotta admit it, I'm totally swooning over them. Some of them out there are so beautifully aesthetic and still organized at the same time. Because of that, I was a little bit interested in whipping out my own masterpiece via notebook paper and pen. 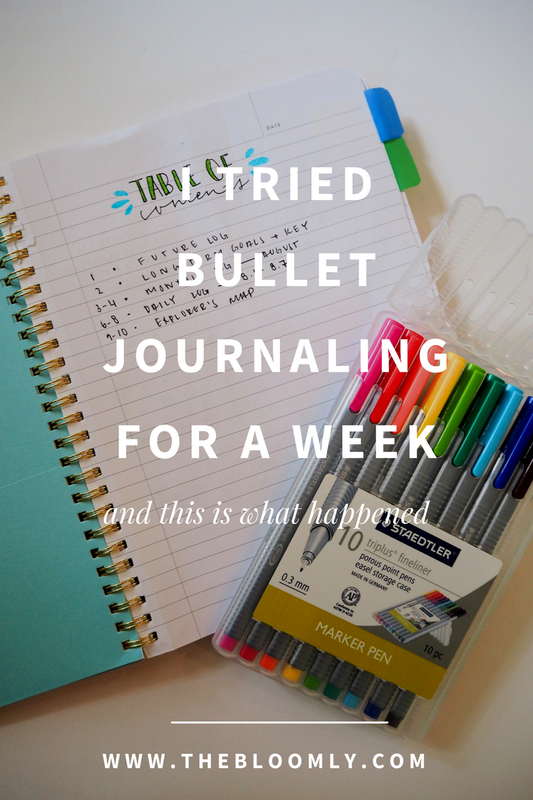 I mentioned it on Twitter before about my thoughts on bullet journaling and it basically encapsulates everything that I love and hate about it. Prior to the challenge, I was in love with the style of bullet journaling, but hated how much planning and organization that it seemed to take. However, at that time, I didn't really understand bullet journaling completely yet. People constantly say that journaling is supposed to be better for reflection and self-growth, but yeah, it's a little bit awkward just sitting down and writing about my mundane everyday life, so bullet journaling seems like a pretty good middle ground, a mix between productivity and documentation. 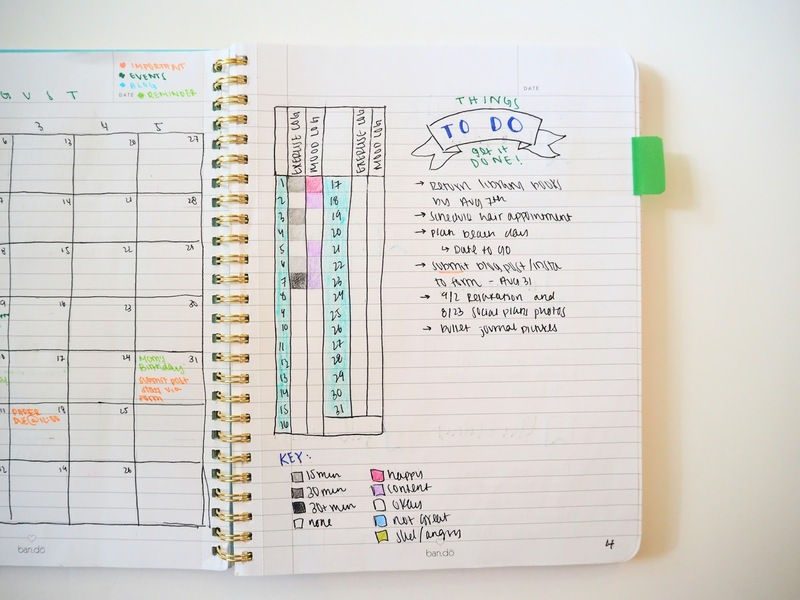 So what is bullet journaling actually? Bullet journaling was originally created by Ryder Caroll, who is a digital product designer from New York. Contrary to what Pinterest often shows us, bullet journaling is not just about its aesthetic and design. "The Bullet Journal is a customizable and forgiving organization system. It can be your to-do list, sketchbook, notebook, and diary, but most likely, it will be all of the above. It will teach you to do more with less." 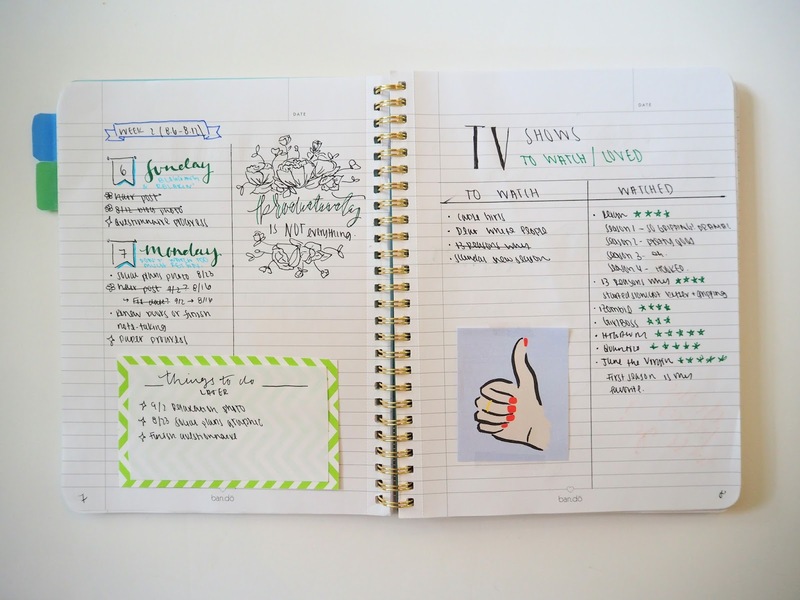 Essentially, what I understand the bullet journal to be is something to organize your life, but in a personalized manner. You can design it however you want to best meet your own needs and also use it in order to channel creativity as well as order in your life. The first day that I started bullet journaling was actually separate from all of the other days. I started my bullet journal at the end of July, but with my laziness, I refused to create a log for July if it was only going to be a few days. Because of that, I dedicated my first day of bullet journaling to getting the journal started so that I could hit the ground running when August began. The way that you start a bullet journal is with an index, a future log, a monthly log, and then finally, a daily log (check out the links above for more information on creating these). Since this was my first time ever bullet journaling, I prepped everything in pencil, which was good, because I made about a million mistakes trying to plan everything out. First impression? The prep time to get a bullet journal started was SO tedious. It stressed me out about the organization and my inner perfectionist came out. 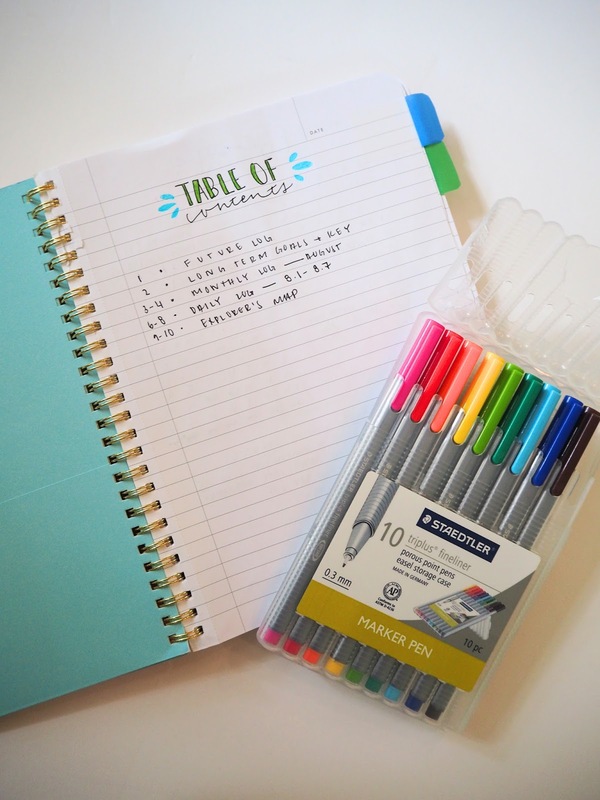 Bullet journals are customizable, which sounds great, but that also means that you have to create the formatting and base layout yourself. As a result, I spent about an hour formatting my index, future log, and monthly log. Spending so much time on creating something that my agenda basically already has made me feel like I was wasting my time. It felt like I was committing so much time and energy into something that should help me manage my time more productively, but in reality, it felt like anything but. It felt like I was spending my life planning it out instead of living it. And I didn't like that. It felt like I was spending my life planning it out instead of living it. Suddenly, I was thinking, can I even do this? What if I hate it? I like planning, but to a certain extent. I've never been type A enough to handle agendas, most of my ideas and life organization is just done in my head. At that moment, I wasn't sure if bullet journaling was for me. Although I clearly had a rocky start with bullet journaling based off of day one, not because it was difficult, but because of pure time commitment, I stayed on track and kept on journaling. And honestly, it wasn't terrible. 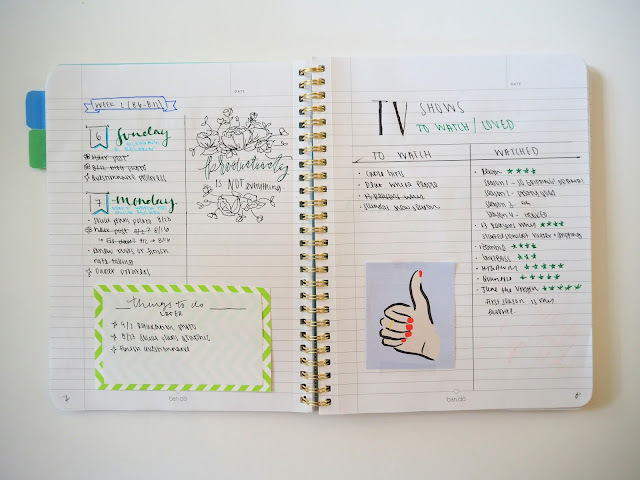 The next day, I strayed a bit from the base bullet journal format that was shown in the video from the creator and started adding things more personalized and relevant to me. I had been trying to exercise more, so I ended up adding a little color-coded chart in my monthly log in order to track my exercise throughout the month of August. In addition, I added a similar color-coded mood chart so that I could look back on the month later and see how the month had been for me, day by day. What I loved about tracking these was that it encouraged me to exercise more (I needed to fill in those boxes!) and also reflect about my day when it was over in order to see how my mood had been. In addition, on day two, I spruced up my bullet journal a bit. On the first day, I had been solely using pen (I erased the pencil and replaced it with pen), but the problem with that was that it was bleeding through the pages and totally cramping up my style. Since I'm such a problem solver, I whipped out my colored pencils. This was great because I have a ton of colored pencils which can add some color into my journal without bleeding through. What I needed was to find my own life in the journal, not just worrying about the format. Once the smoke had cleared on the organization front, everything became a bit more carefree and I started to see the benefits of a customizable journal. After finding my own style the day before, I felt like I was starting to get the hang of it, to see why people like bullet journaling. I have to say, once the organization was over, it wasn't that hard to keep going on my daily log, since I didn't have to really write much, just what I did and what I still needed to do. What was great about the bullet journal was that it encouraged me to be more productive so that my daily log didn't have to be empty with nothing checked off my to do list and no accomplishments to account for. In addition, it was fun coloring in the boxes on my exercise log and mood log. It made me want to exercise just to check off that box. The bullet journal made me want to do more during the day so that my pages wouldn't be empty. I forgot to bullet journal. On day four of bullet journaling, I got some work done in the morning and headed out with friends in the afternoon. However, by the time that I got home, I was exhausted and bullet journaling was the last thing on my mind. I didn't remember about my commitment to my bullet journal until the next day. I started to question whether I would actually be able to make time to bullet journal when life got busy. For most of the week my schedule had been light. However, on this one day that had a bit more packed into it, I couldn't find bullet journaling in my everyday routine. I didn't have the time or energy to do it. Having a taste of a slightly busier day made me question if I would be able to keep this bullet journaling up in the long run. If this one day that wasn't even that busy was too packed to fit in journaling, then how would I ever make time for it when life gets even crazier? Day Five: Is Journaling Even Benefitting My Life? After catching up with my daily log for day four, I decided that I would add another non-planning page. 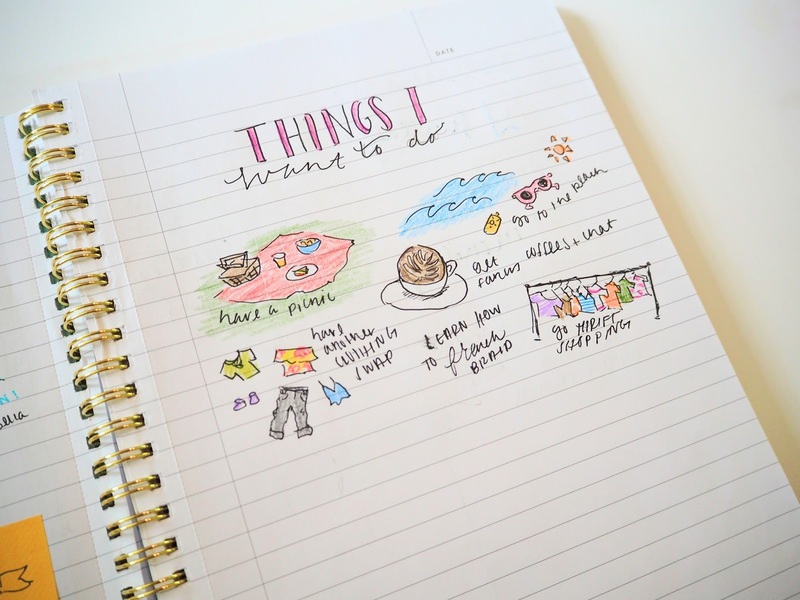 I went online and looked for some bullet journal page ideas, deciding on doing a page dedicated to travel, listing where I have been and where I want to go. Because I wanted to have a pretty style, I decided to draw a map of the world and color in places that I've been to and shade in places that are on the top of my "to visit" list. Bad idea. After starting on drawing North and South America and beginning to work on Europe, I quickly realized that this was way too much for me to do, especially on this small section. It was so exhausting. Drawing every single country and trying to follow a world map was stressful. I'm 100% sure that I added a few countries as well as deleted some others. The countries that I managed to get onto the paper are definitely not accurately represented, not in size or shape. It took me about an hour to draw the entire map, then I had to color it in and re-outline everything in pen. Working on this page gave me the same feeling that I felt on the first day. I felt like I was wasting my time instead of using the bullet journal to reflect and/or track my life. Maybe this was partially my fault for choosing to do something completely time-consuming, but the point was that I quickly remembered how much time you need to commit to bullet journaling. While documenting my everyday life was going well, going the extra mile and adding things more for aesthetic was too much for me, it didn't really feel like it was benefiting my life in any way. After yesterday's exhausting hour of bullet journaling, I decided to take it easy today. I logged my mood and exercise as I had been doing every day and also logged in my daily log for my accomplishments and things to do. When adding a new supplemental page, instead of going for something complicated, I opted for a list of TV shows that I've watched and TV shows that I want to watch. An easy, simple list. When I wasn't so focused on aesthetic, bullet journal wasn't actually all that time consuming. Keeping it simple was just what I needed. I quickly jotted down all the daily stuff and then jotted down some TV shows. It gave me a little time to reflect on what I liked and didn't like about each show I had seen as I was giving them ratings, but it wasn't over the top, which was nice. I think that the problem with bullet journaling could be going over the top. Maybe all I need is to keep it simple, because when I do, it's not so bad. In fact, I kind of like it. On the last day of bullet journaling, it almost felt normal to me, to be jotting down little achievements and things to do. I didn't go overboard, adding extra pages, I merely stuck to the daily log in order to keep it simple. In fact, I even thought about the things that I would write down in my bullet journal to do tomorrow, even though it was the last day of the bullet journaling challenge. Would I continue bullet journaling? While I was definitely finding myself getting into the habit of using it (the next day I literally picked up my journal, ready to document the day) I honestly don't know if I'll continue. At the moment, I might be open to continue bullet journaling, but I would adhere only to daily logs and monthly logs rather than those additional pages. While it may not be as aesthetically pleasing, it's too much work focus on style rather than what I actually need to get done. At the beginning of the week, I expected that I would hate bullet journaling based off of the intense amount of organization, planning, and commitment that would go into it, but getting into it, I'm seeing that it doesn't have to be so intense if I don't want it to be. I have a feeling that when my schedule picks up, I probably will leave bullet journaling behind, forgetting to keep it up like I did on day four. 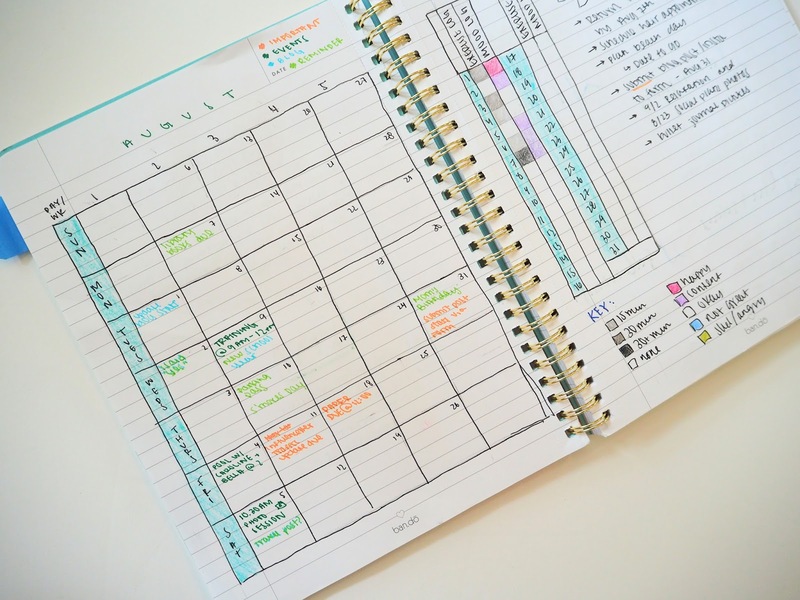 I'm not really sure that I have enough time for bullet journaling or if I even want to dedicate time to journaling, as there's not a huge benefit for it in my life. 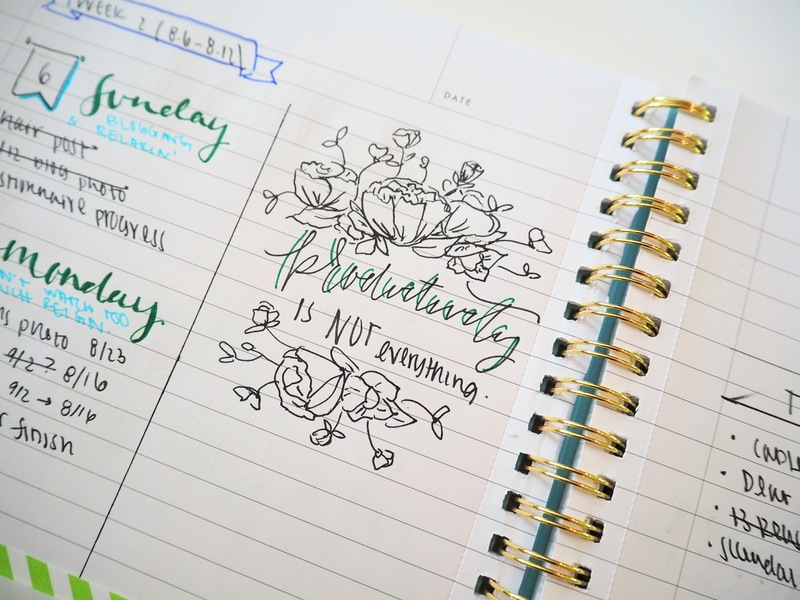 On the other hand, I do see that when I have a simple schedule, bullet journaling can be helpful to me in making sure that my productivity doesn't waiver and I don't let the day go by wasted. What has your experience with bullet journaling been like?